We know it sounds weird, but let us explain. Inspired by the positive spirit of John Lennon’s peaceful 1969 Amsterdam bed-in, we came up with an idea — what if a bed was the answer? We started BedTalks with one clear mission — to change the world for the better. The concept is simple — a bed is an incredibly intimate space, as it’s where we experience our most beautiful dreams and some of our most exciting moments. What if we could tap into this spirit and ask some of the world’s most inspiring people to temporarily share a bed with us? 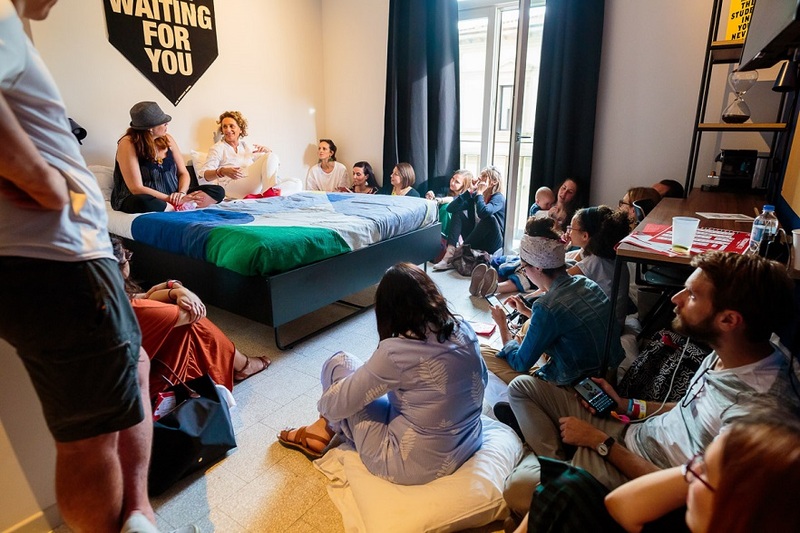 We then invite as many other people into the room and pose a simple question to the guest — share with everyone how you’re changing the world, but most importantly, think about how you can help support the mission of your bed partner. At the end of their pillow talk, we invite our speakers to commit to something that will help the other out — a piece of advice, putting them in touch with the right people or maybe even kicking off a new project together. To be honest, we didn’t even know if it would work. But then it happened — an open-spirited moment with a good talk, a new connection, and a mutual commitment to help each other. The 2000 people who attended the first event got talking and started sharing all kinds of ideas on big topics — everything from how to overcome injustice to how to solve the refugee crisis, and how to beat depression to creating machines that convert human waste into energy. Help was offered, phone numbers were exchanged and commitments to support each other were solidified with handshakes. Today we’ve hosted six BedTalks with over 500 speakers, 10,000 guests, and 350 commitments, and we’re constantly thinking of new ways to create a better event. For example, BedTalks Florence was live streamed around the planet, making it possible for anyone to join in and learn from some of the brightest people in the world.